Living in an apartment can often mean windows are placed in difficult or unfavourable positions. This often rings particularly true in the bathroom, which is sometimes void of a window completely. These spaces sometimes feel dull, uninteresting and extremely uninviting. Luckily there is solution. We’ve gathered 11 examples of windowless spaces, and will be chatting about ways you can improve your room easily and efficiently. 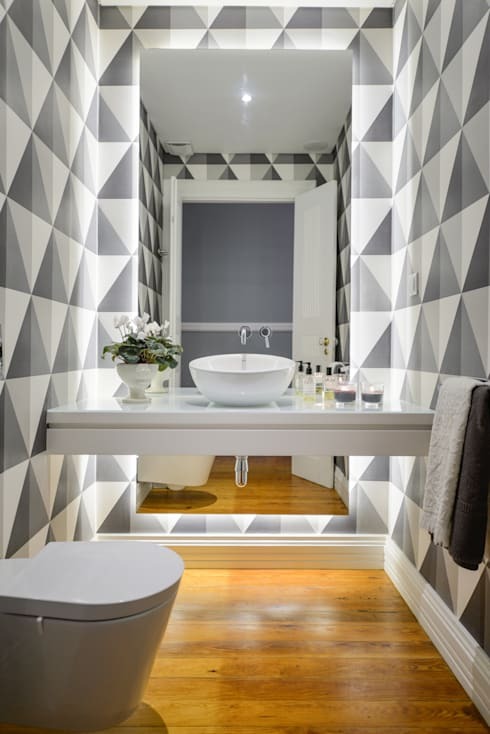 If you need a little inspiration, or would simply like to take a peek inside a few gorgeously designed bathrooms, check out the images below! 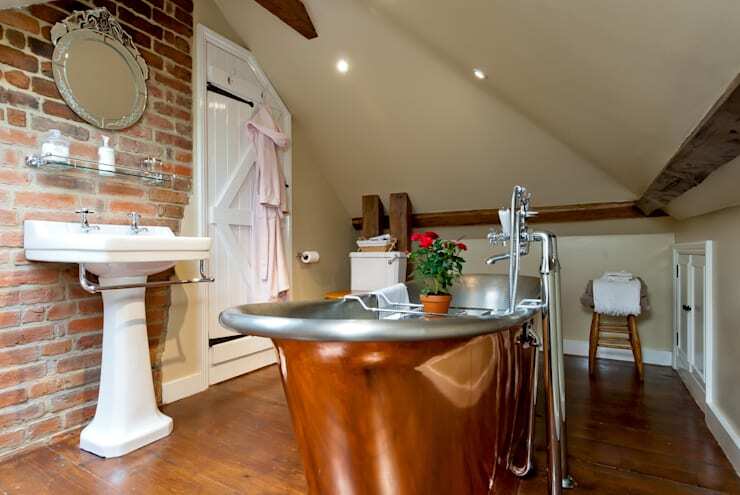 If you are lacking a view from a bathroom window, why not simply add one? Wall murals will give your space a focal point, and look wonderfully unique. We can't emphasise enough the importance of mirrors within a windowless room. They not only look great, but will boost any illumination in the space, and reflect the interior lighting with style and flair. Make the most of your windowless space by employing a romantic aura and atmosphere. 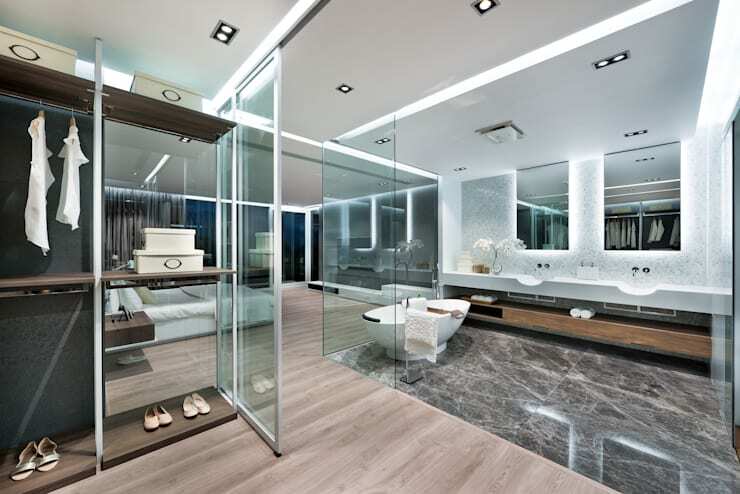 Look at installing some luxury fittings and fixtures to boost the general aesthetic within your bathroom. 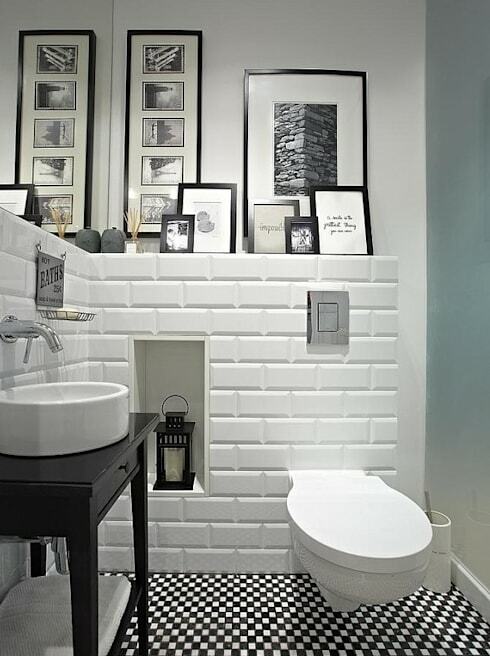 This could possibly include a freestanding tub, heritage pedestal sink, or exposed brick wall elements. 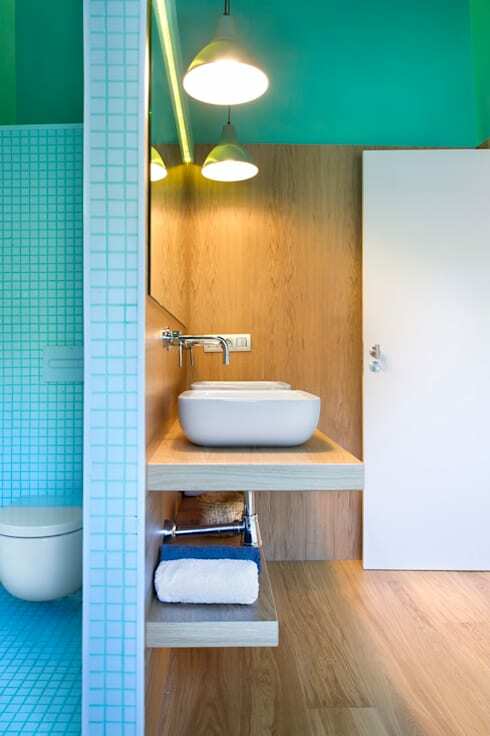 Draw attention away from the fact that you are lacking a window by imparting a bold interior hue. 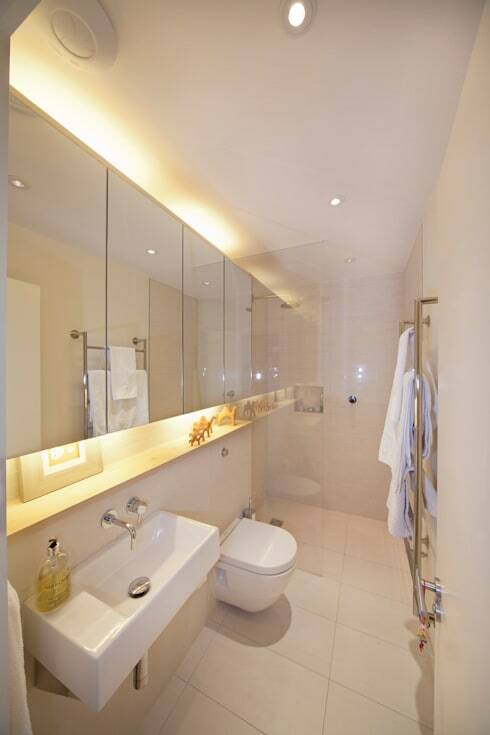 This bathroom works beautifully with its high gloss terracotta walls, which are matched with large panels of mirrored glass. One of the main things you want to ensure is that your room doesn't feel dark or dull. Recessed lighting should do the trick, and can be installed easily and efficiently by a professional. Choose indirect lighting to avoid any undesirable shadows within your space, as well as a subtle yet enjoyable atmosphere. Creating interest and intrigue is often a great solution to detract from the fact that the space is windowless. Take some cues from this example and look at timber wall cladding, as well as a range of textured tiles. 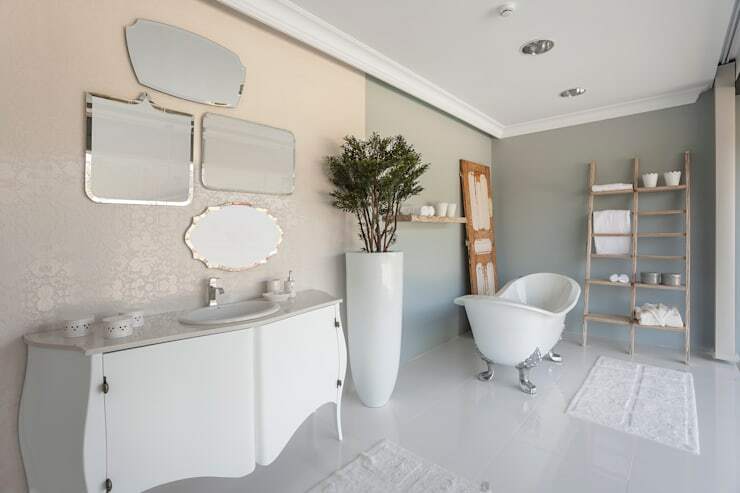 If you feel as though you're a little out of your depth in the design pool, chat to an interior designer or bathroom planner, to get the right advice and some handy hints. Just because you can't see the great outdoors, doesn't mean you can't bring it into your room in other ways. 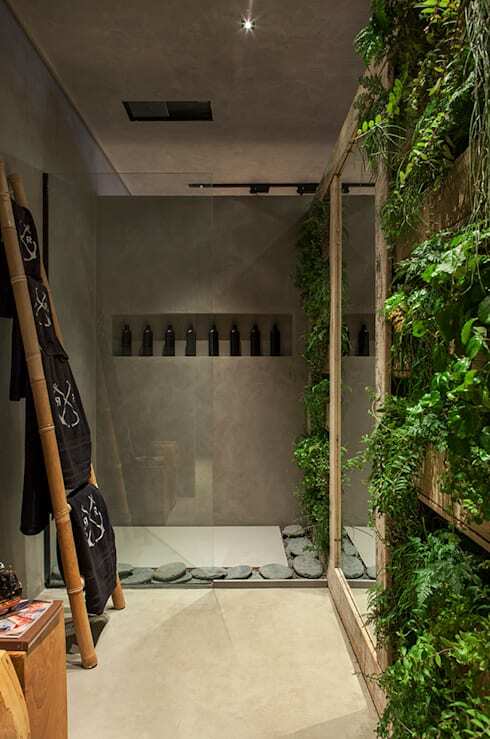 Consider green walls, large indoor plants, and other earthy features such as pebbled flooring, or bamboo furniture. 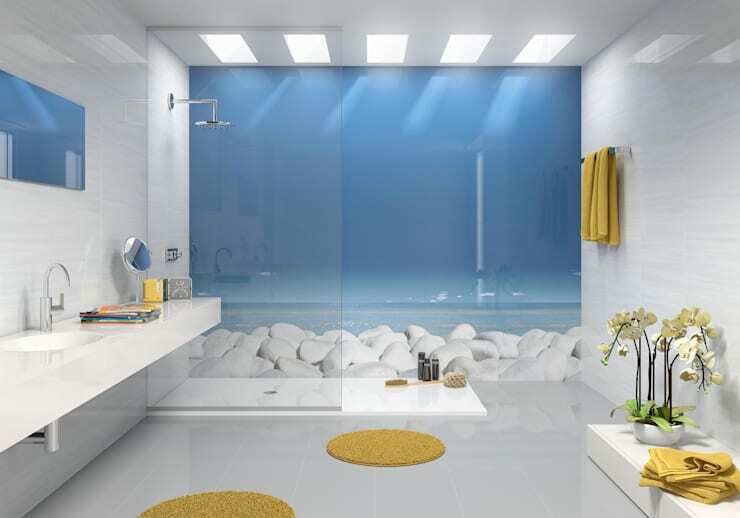 Make your bathroom wall a window by installing glazed walls. Not only will this open up your internal space, but it will create a free-flowing and cohesively designed interior. This design works especially well with en suite bathrooms, which enjoy an open atmosphere with their adjoining sleeping quarters. Add eye-catching art to your windowless space to bring a sense of interest and originality to the room. Finally, for our last point we are going to look at working with patterns, prints and motifs to brighten up your windowless space. Try wallpaper and unique tiles, as well as wall tattoos and tile stickers, which will enlighten and enliven your room. Do you have experience decorating or designing a windowless room? Chat to us by leaving a comment below!